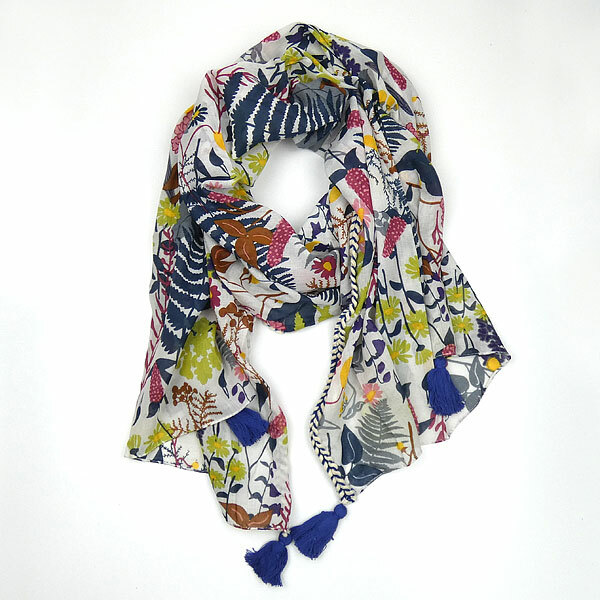 A very pretty cotton scarf with a wild flower design, braided edges and finished with four blue tassels. 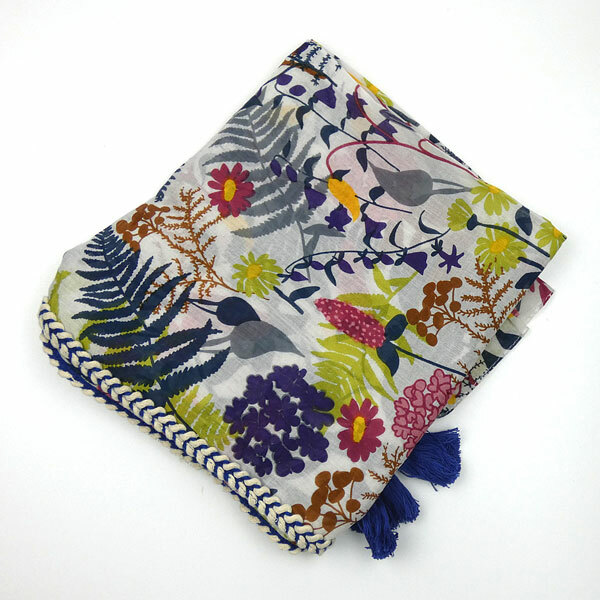 This cotton scarf has a white base on which lays a multi-colour design of wild flowers and leaves. The colours include pink, purple, orange, yellow and red, but the main interlinking tone is blue, which is included, together with an off-white thread, in the stitching of the braided edge of the scarf. The edging is finished with four decorative tassels in the same tone of blue as that of the braiding.